Samsung is finally up for the battle for the redemption of number one crown in India. 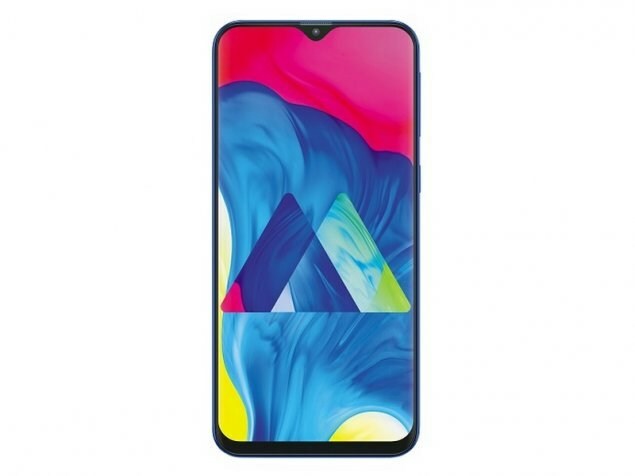 Recently, the Korean brand has been struggling against the likes of Chinese smartphones manufacturer, but the launch of their new M-series devices — Galaxy M10 and Galaxy M20 — could hopefully bring back the company to their day of glory. Both offerings are a sole weapon from Samsung to capture the entry-level market and a lower mid-range segment in India. And it certainly seems like both the Galaxy M10 and M20 has got something different than its counterparts. Talking about the first from the list, the Samsung Galaxy M10 is a phone targeted to entry-level markets. For beginners, the phone offers a 6.22-inch HD+ LCD screen with a waterdrop notch at the top. No Infinity-O and AMOLED display here but for such a low price we must say it does pack some punch. The internals though is on an aging side; the Exynos 7870 chipset, 2GB RAM/16GB storage or 3GB RAM/32GB storage. For cameras, at the rear, the phone’s got a dual sensor of the 13MP normal + 5MP ultra-wide set. The ultra-wide sensor is definitely a welcome change for an entry-level device, albeit the fact that it certainly won’t live up to the expectations. For selfies, there’s a 5MP front camera. Powering all the need and necessities is a decent 3,400mAh battery, whilst the phone still runs on Android 8.1 Oreo out of the box. On the other hand, the Galaxy M20 comes with a larger 6.3-inch Full HD+ display and a similar kind of notch. The screen is still LCD but a larger aspect ratio makes up for it. But the main highlight of the phone is the 5,000mAh battery inside, which is a like to like competition against Xiaomi’s Redmi series. Internally, the Galaxy M20 rocks a new Exynos 7904 chipset, 3GB RAM/32GB storage, and 4GB RAM/64GB storage. The phone, though, carries a similar 13MP+5MP camera configuration. However, the front has been bumped up to the 8MP sensor. There’s also a Type-C port on this device as opposed to M10’s microUSB port. Similarly, the M10 misses out on the fingerprint scanner, while the M20 gets to enjoy it. Finally, it all boils down to one question: what’s the price? 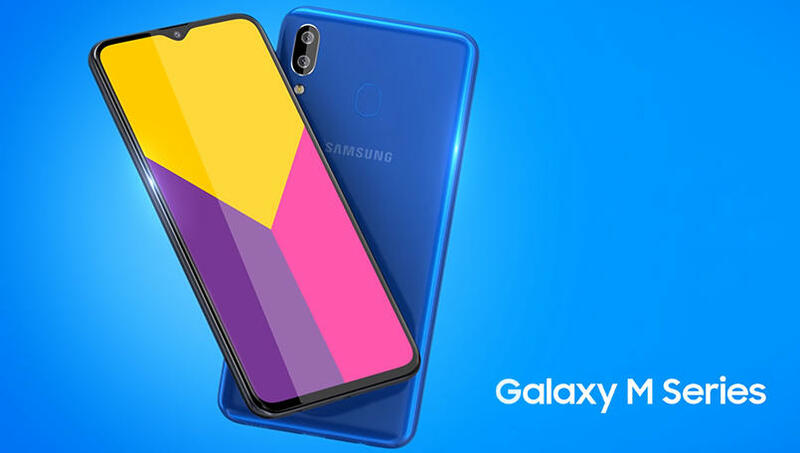 Samsung has currently set the starting price of Galaxy M10 at INR. 7,990 (for 2/16GB), whereas the 3/32GB variant will go for INR. 8,990. 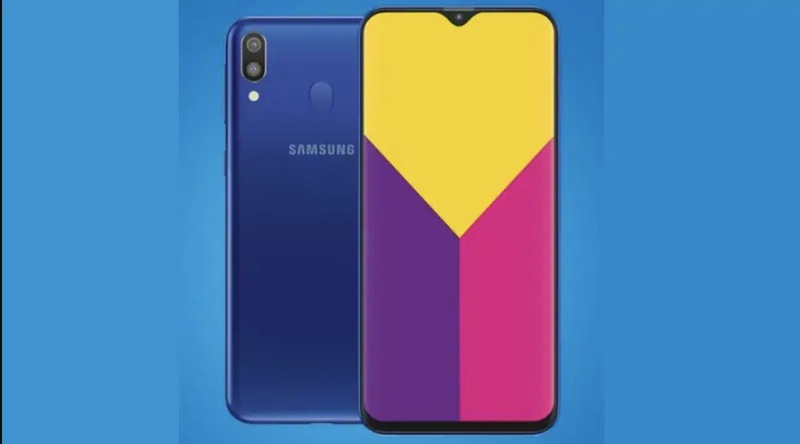 For Samsung Galaxy M20, the 3/32GB variant costs INR. 10,990 and the 4/64GB will go on sale for INR. 12,990. Both devices will be available in Charcoal Black and Ocean Blue color options and will go on sale through Samsung’s official website and Amazon India. Although Samsung has not given any hint about the launch outside India we expect it to arrive within a month or two in Nepal. Stay tuned for more information about the phone.